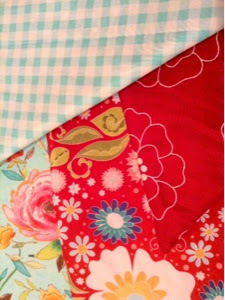 Jaynes stitching tales: Desperate for a new start! I was itching to start something new tonight but managed to hold myself back too many WIPS already, so I got my little beach hut out. 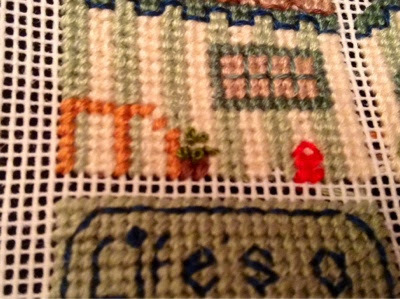 Stitched some French knots in the flower pots. I them made some more thread catchers one for my give away at the weekend with the GYB party. I have taken part in 2 exchanges this month so I am now stalking the post box everyday! I posted one of my exchanges today staying in the UK so not far to go. 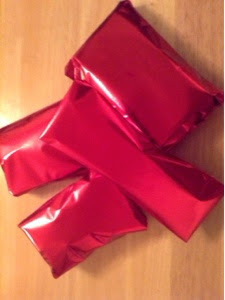 As you can see from the red wrapping paper it is a valentine themed exchange. The beach hut is cute! I use my thread holder, which I was lucky enough to win in your giveaway last year, every time I stitch.